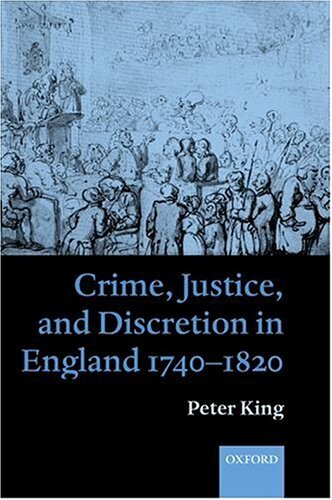 The criminal law has often been seen as central to the rule of the 18th century landed elite. Within detailed studies of every stage of the criminal process this volume explores key issues such as who used the law, for what purposes and with what effects It then challenges the view that the law was primarily the instrument of a small elite, portraying it instead as an arena of struggle, negotiation and compromise used by many different social groups. The criminal justice system may have sometimes been vulnerable to power but it was also useful in limiting it. If you have any questions about this product by Peter King, contact us by completing and submitting the form below. If you are looking for a specif part number, please include it with your message.